Take the brackets as shown in Picture 1. 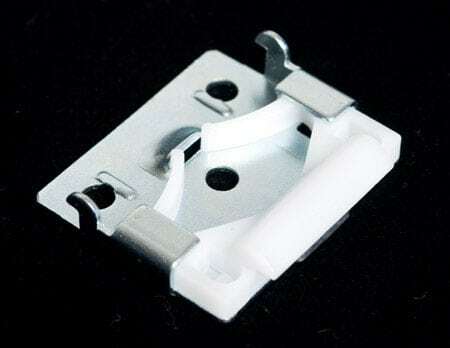 Each will have a white plastic release button which always represents the front of the bracket. Carefully choose your position for each bracket and ensure they will not interfere with any of the mechanisms in the headrail of blind. Install each bracket at an equal distance from the front of the sill. Clip the blind into it’s brackets.